Dunkin' Donuts is getting a facelift. The company unveiled a new concept store that includes digital kiosks, an expanded Grab & Go section and a drive-thru that lets customers cut the line if they ordered ahead on the app. The concept store also has iced tea, coffee and cold brew on tap. 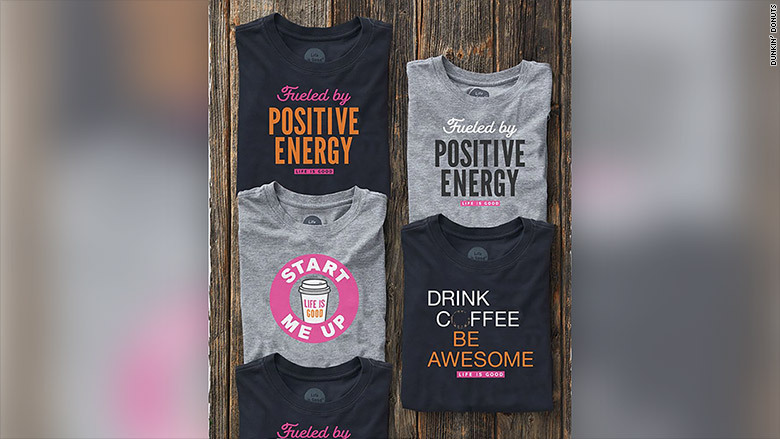 And its employees will wear new uniforms, emblazoned with slogans like "Fueled by Positive Energy," and "Drink Coffee. Be Awesome." The outside got a big change too: The sign just says "Dunkin'" -- no "Donuts" -- an idea the company has been toying with for months. The new Dunkin' Donuts concept store in Quincy, Massachusetts. 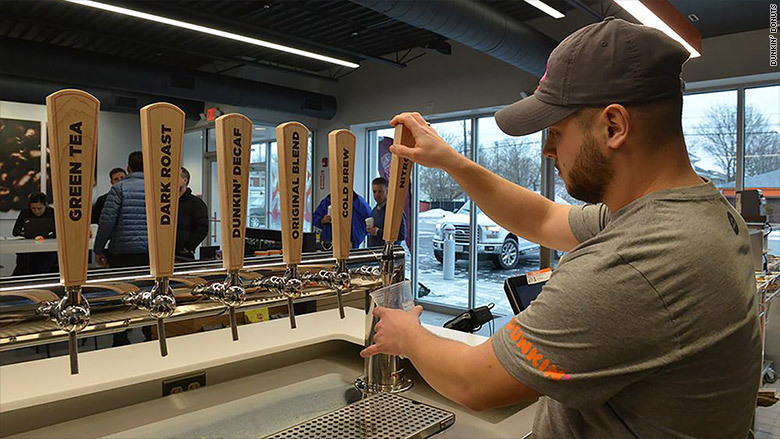 The 2,200 square foot space in Quincy, Massachusetts, offers shoppers a taste of what new Dunkin' Donuts could look like in the future. 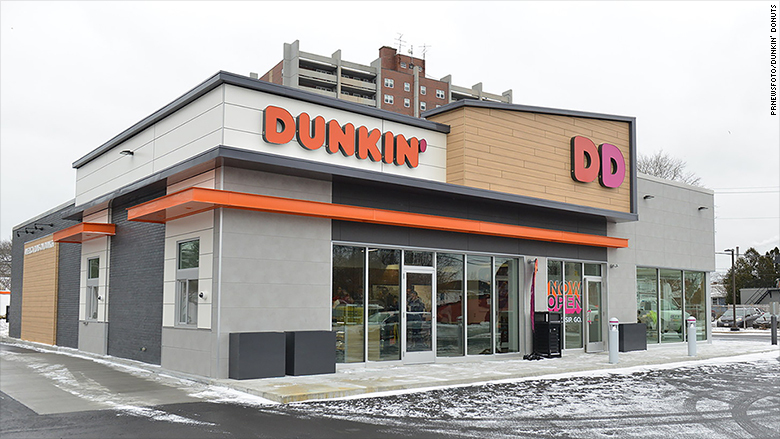 "The launch of our next generation concept store marks one of the most important moments in Dunkin' Donuts' growth as an on-the-go, beverage-led brand," said Dave Hoffmann, President of Dunkin' Donuts North American business, in a statement. Dunkin' teased the new design during the ICR conference in Orlando last week. CEO Nigel Travis said at the event that the new in-store technology and drive-thru concept will help customers in a rush. The updates should decrease congestion in-stores and move customers through them more quickly, said R.J. Hottovy, an analyst who covers the brand for Morningstar. Dunkin' is implementing lessons learned from other coffee chains like Starbucks. 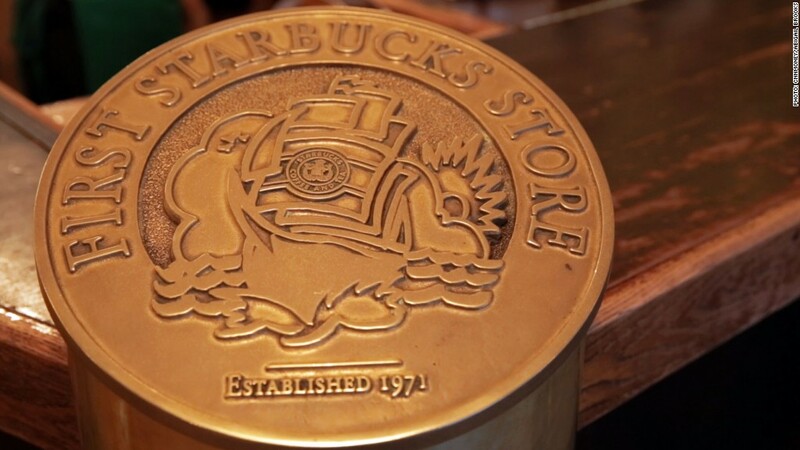 Starbucks, which had some trouble with its app at first, said that in the fourth quarter, 10% of transactions in U.S. company-operated stores where made using mobile order and pay. One notable thing about the Quincy prototype, said Hottovy, is that it can be tailored to different locations. A store in an urban environment probably doesn't need a drive-thru, but would benefit from a pickup section for mobile orders, for example. Today, Dunkin (DNKN)' has about 9,000 U.S. stores, but it wants to double that number. It will open about 30 concept locations to test out different versions of the Quincy store, and is expected to finalize a new store design once its finished testing. The Quincy concept store is about a mile away from the original Dunkin' Donuts store, which opened in 1950. 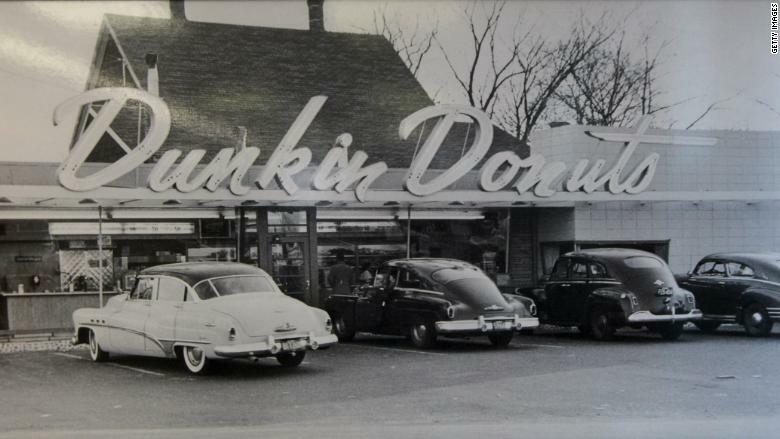 The original Dunkin' Donuts store.